Based out of Boulder, Mortal Kombucha is joining us at Denver Milk Market! From the epicenter of the outdoors, comes a drink that'll cleanse your aura, clear your mind, balance your chakra, and energize you to the extreme. Mortal Kombucha combines the essence of kombucha with the energy of the mountains. The flavors blend fresh fruit and teas with energizing and focusing adaptogenic herbs for an extra boost. A kombucha with an attitude. It's like soda, but good for you. 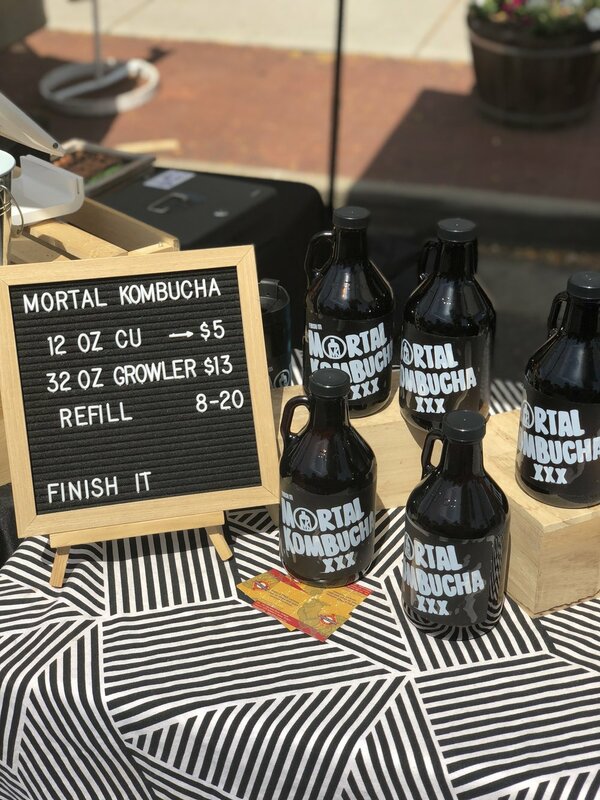 Mortal Kombucha will be onsite selling the bubbly goodness by the cup or growler from 10:30am - 3:30pm.